The Audi A3 offers the versatility of a compact hatchback with seating for five. 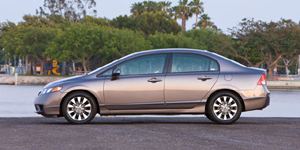 Power comes from a choice of turbocharged 4-cylinder engines. 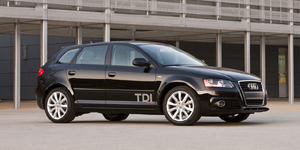 Quattro all-wheel-drive is an option. 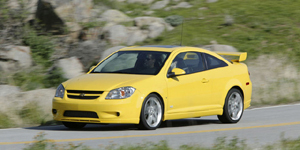 The Chevrolet Cobalt comes in coupe and sedan bodystyles powered by a choice of 4-cylinder engines, and offers a quiet ride and handsome styling for a competitive price. Available in coupe and sedan bodystyles, the Ford Focus is one of the most entertaining, if not necessarily most handsome vehicles in its class. The Hyundai Elantra offers best-in-class interior room and extensive safety equipment that includes six airbags. Power comes from a 2.0l 4-cylinder engine with 138hp. 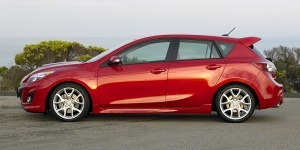 The Kia Forte replaces the Spectra for the 2010 model year. 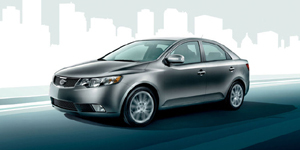 Featuring sporty styling, the Forte offers a choice of 4-cylinder engines and a roomy interior. 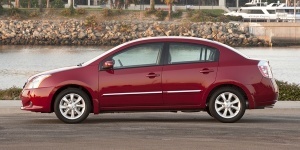 The Nissan Sentra is a roomy and handsome 4-door sedan offering a choice of 4-cylinder engines. 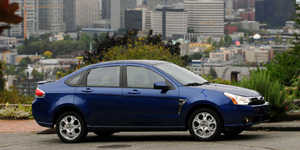 Top-of-the-line SE-R models offer sporty handling and performance. 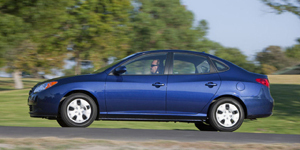 Available in sedan and hatchback styles, the Subaru Impreza comes powered by a choice of flat-4 engines. Standard all-wheel-drive provides ample traction in all wheather conditions. 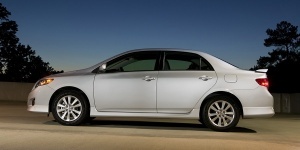 The sedan only, four-cylinder powered Toyota Corolla offers space for five in a comfortable and unconspicuous package. Toyota trademark reliability included.